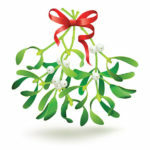 Thank you for your interest in joining us as a Mistletoe Market vendor! We offer a variety of booth options to meet your needs. Friday, November 16 | 11:00 a.m. – 12:00 p.m.
Friday, November 16 | 12:00 – 8:00 p.m.
Saturday, November 17 | 9:00 a.m. – 8:00 p.m.
Sunday, November 18 | 12:00 – 5:00 p.m. Vendors will receive a discounted rate of $89/night.